If there’s a word to describe the outstanding graphic novels of 2017, it’s “timeless:” Mysteries, adventure stories, and fantasy tales that would have been at home as chapter books in an earlier era come to new life in the hands of skilled artists such as Svetlana Chmakova, Sean Rubin, and Katie O’Neill. Here’s a personal top ten of the most notable children’s and young adult graphic novels of 2017. The comics in this colorful 200-page hardcover anthology have a modern sensibility, but the whole package feels like the sort of thick, colorful, jumbo kids’ books that have been a holiday staple for generations. The book is packed full of short comics by James Kochalka, Skottie Young, Nathan Hale (Nathan Hale’s Hazardous Tales), and MAD Magazine veterans Al Jaffee and Sergio Aragones. 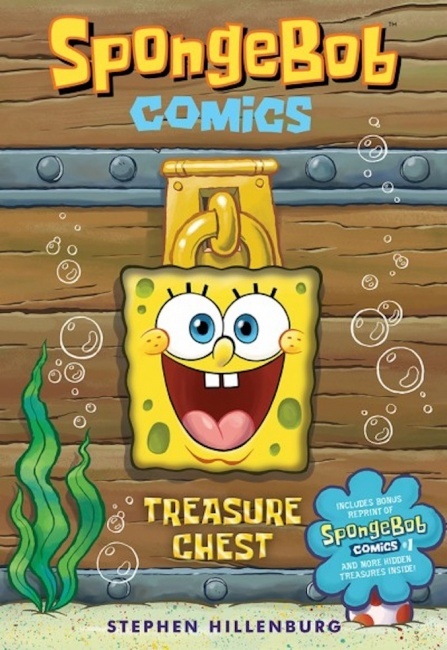 The genius of the Spongebob comics is that they appeal to kids and adults alike; while the book is pitched at ages 8-11, grownups will enjoy the sly humor, especially the parodies of vintage comic book ads. 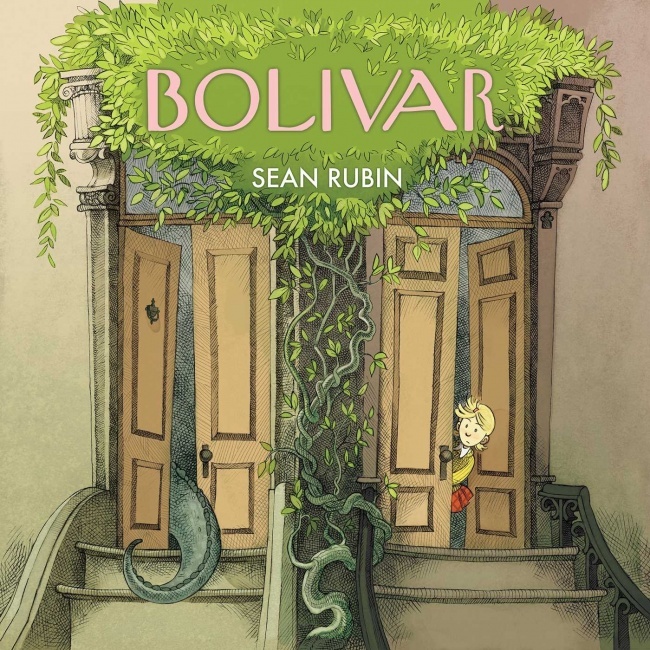 Sybil, a curious girl, is convinced that her neighbor, Bolivar, is a dinosaur. She’s right, but no one has noticed: Bolivar has been living the quiet life of a stereotypical Manhattanite—reading the New Yorker in his Upper West Side apartment, enjoying corned beef sandwiches in his corner deli, taking the subway downtown for concerts—under the noses of his oblivious neighbors. When Bolivar accidentally changes places with the mayor and winds up at the Museum of Natural History, everyone suddenly realizes that he really is a dinosaur, and a wild chase ensues. This story is a hybrid graphic novel/picture book, making it a good choice for kids and adults who like to read aloud, and the detailed scenes of New York will have added appeal for fans of the Big Apple. Tea dragons are delicate creatures who are difficult to raise, but it’s worth it: They grow tea leaves that, when brewed, evoke the memories of their previous owners. Katie O’Neill (Princess, Princess Ever After) brings these creatures, and their human caregivers, to life with charming pastel-hued art in a book that feels like a folk tale, although it’s totally original. 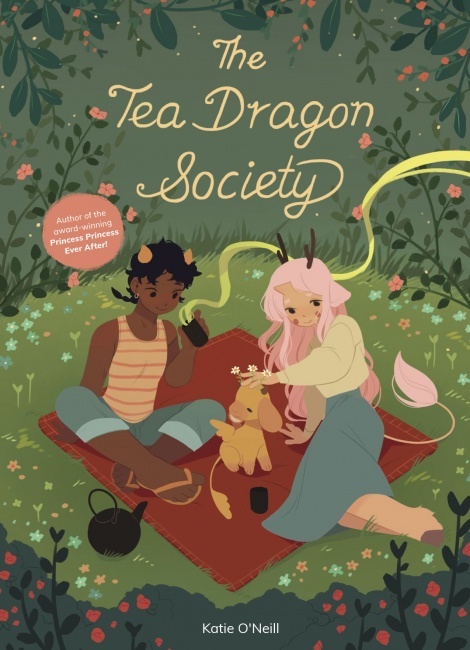 The tea dragons are super cute, making this oversized graphic novel a great choice for young readers. Svetlana Chmakova made her bones as a creator of manga-style comics for teens—first Dramacon (Tokyopop), then Nightschool (Yen Press)—but she has shifted to a younger age group and a more realistic style with her more recent graphic novels, Awkward and Brave. Jensen, who was a minor character in Awkward, takes center stage in Brave. He’s self-conscious and his friends tease him a lot, but when the school’s journalists get him involved in a project about bullying, he starts to wonder if he is being bullied himself. 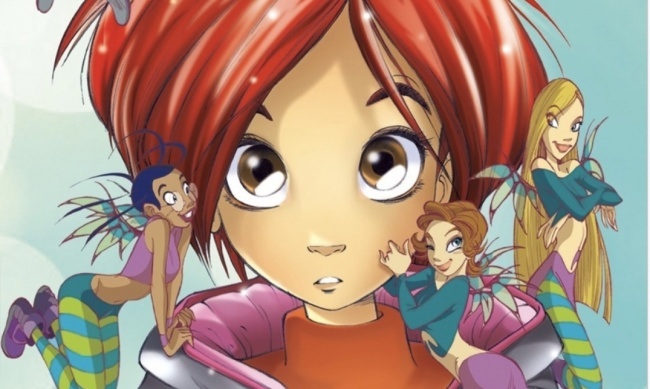 Brave is unusual in that it finds a fresh take on the topic of bullying, and Chmakova’s characters are engaging and fun to read about, so the story never comes across as preachy. 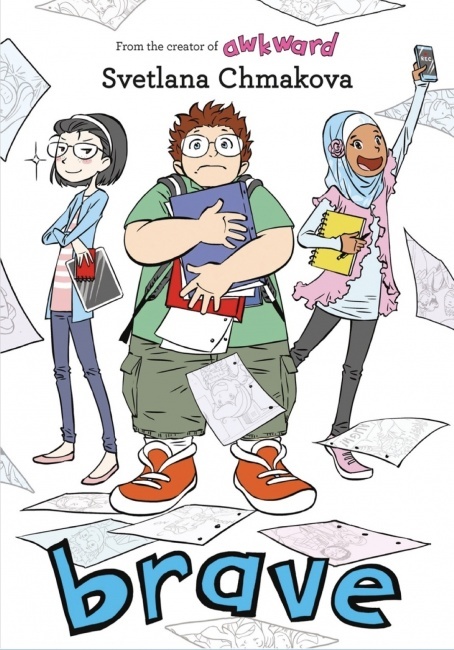 Both volumes will probably appeal to fans of Raina Telgemeier’s graphic novels. Sixteen-year-old Wendy is driving her two younger brothers when a terrible accident occurs: The car veers off a bridge and plunges into the river below. Wendy sees her brother Michael fly away, but no one believes her, and everyone else is convinced he is dead. Her other brother, John, is left unable to speak by the trauma of the accident. 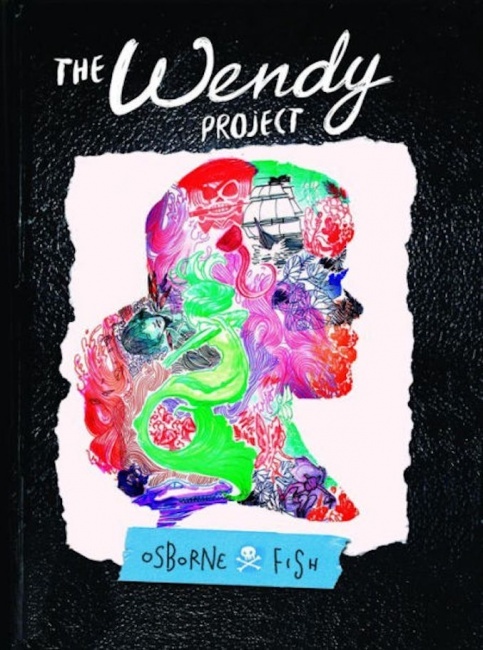 Osborne and Fish dive into the difficult topics of death and trauma in this young adult graphic novel, which cleverly parallels J.M. Barrie’s Peter Pan, and they keep the reader wondering until the very end whether Wendy is really struggling to rescue her brother or come to terms with his death. 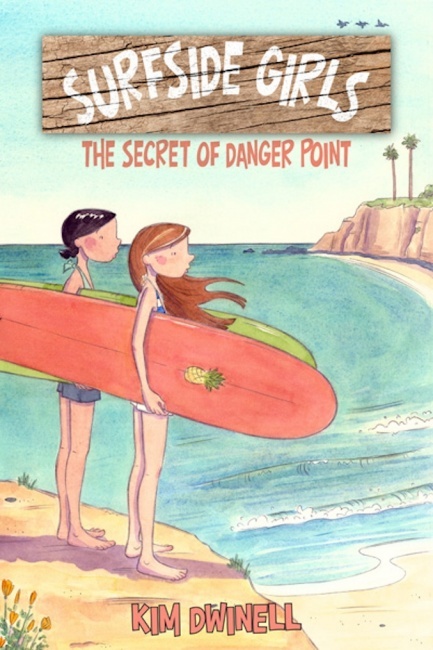 Surfside Girls is a classic middle-grade supernatural mystery story, set in a California beach town. Samantha and her friend Jade find an underground cave that leads then to an area inhabited by ghosts—and they must delve into the history of their town to figure out what it all means and what they must do. Dwinell tells her story with fluid, pastel-hued watercolor art and simple but expressive character designs that may be particularly appealing to readers of chapter books who are new to graphic novels. A girl makes friends with a ghost—but she gets more than she bargains for in this beautiful, large-format hardcover book. Things start out innocently enough, with strange lights that appear to Sandy at night and turn into wonderful creatures. Then a new girl appears at her strict Catholic school and encourages her creative side. As often happens in ghost stories, though, Sandy’s new friend becomes increasingly demanding and forces her to make a difficult choice. 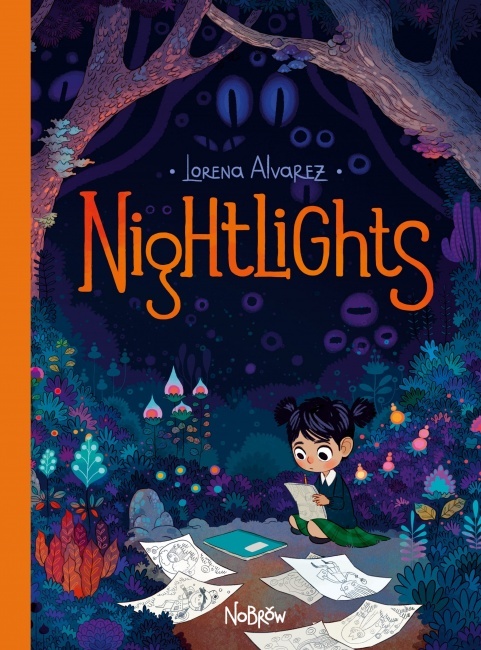 The story may be a bit scary for the youngest readers, but Alvarez’s art is stunning and her depiction of the travails of school life will ring true with many readers. Raised by dog lovers, Mickey has as keen a nose as any bloodhound, and he gets along with dogs better than people. When his parents are killed in an accident, he goes to live with his aunt and uncle, who have no children of their own and don’t understand how to relate to a child, let alone one who thinks he is a dog. Eventually, though, they come to realize Mickey’s special talents and he comes to see that their love for him is genuine. 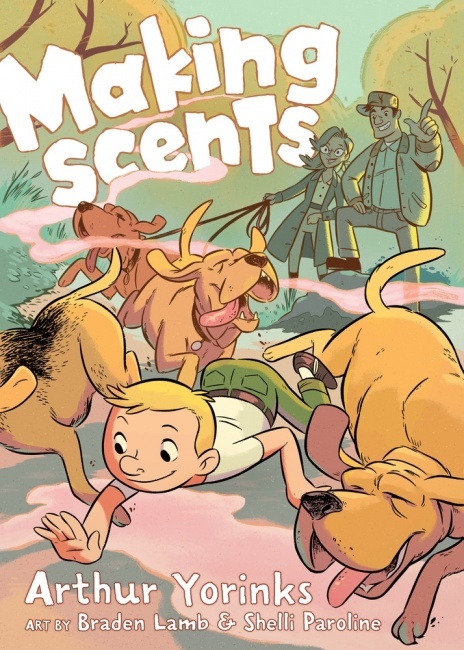 Lamb and Paroline bring a cartoony, kinematic art style that is just right for this goofy, funny, but heartfelt story. 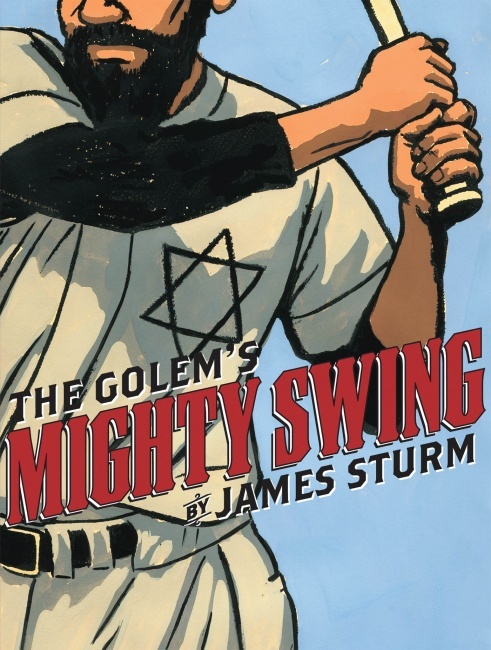 Sturm’s graphic novel about a traveling Jewish baseball team, set in the 1920s, offers young adult readers a look at racial tensions and anti-Semitism in a time when they were more clearly expressed. The Stars of David travel from town to town, playing the local teams in exhibition games where the crowds are all rooting against them. Sturm is a master storyteller, and as his story unfolds we see how racism affects those who experience it, as well as how some exploit it for gain. This book was originally published in 2002, but the new edition, a 120-page, two-color paperback, is more relevant now than ever before. 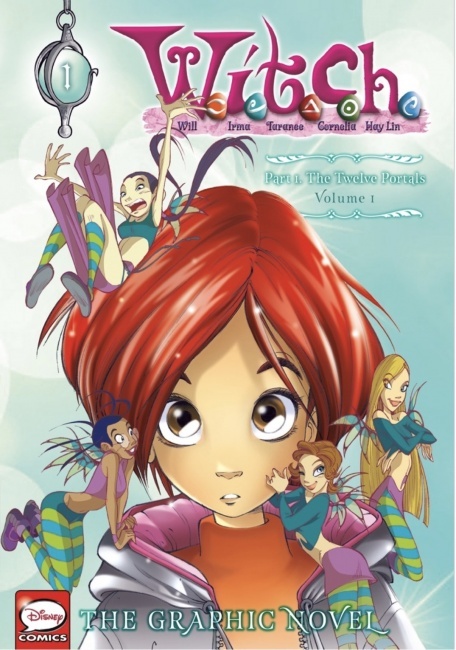 This middle-grade fantasy series about a quintet of middle-school witches, produced by Disney’s Italian studios, is compulsively readable and was popular with early manga fans when the graphic novels and related prose books were first released in English in the mid-2000s. The five lead characters are chosen to be the Guardians of the Veil, protectors of the barrier between the everyday world and a parallel universe, and as such are frequently whisked away from everyday life to fight epic battles. Yen Press editor JuYoun Lee chose this three-volume graphic novel series to launch her young-readers imprint, JY, earlier this year, and it is likely to find a new audience with middle-grade fans of fantasy/adventure stories. Click Gallery below for full-size images of all covers!